All eyes will be on what the Cleveland Browns do with their two top-four picks in the 2018 NFL Draft, with the sportsbooks offering up betting lines for Thursday night. The Cleveland Browns were the worst team in the NFL last season with a record of 0-16 SU and 4-12 ATS. That disastrous season landed the Browns the top pick in the 2018 NFL Draft, while some good luck in the form of the Houston Texans collapse last season gave Cleveland the fourth overall pick as well. USC quarterback Sam Darnold is the betting favorite on the 2018 NFL Draft odds to be the first overall pick on Thursday night at -240 at sportsbooks monitored by OddsShark.com. The conventional wisdom around this year’s draft seems to be that the Browns will select a quarterback with the first overall pick and then take defensive end Bradley Chubb with the fourth overall pick. 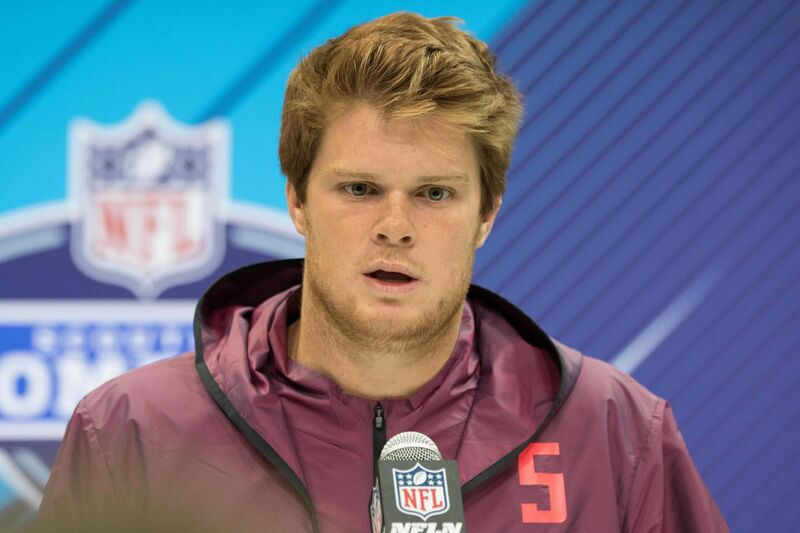 Darnold is the favorite to be selected while other options at quarterback for the Browns include Josh Allen (+160 to be first overall), Baker Mayfield (+1000), and Josh Rosen (+1800). Saquon Barkley appears to be a can’t-miss running back prospect and is going off at +550 to be the first overall pick. If the Browns can’t decide on which quarterback they like the best or don’t have a strong preference between them, they might be wise to take Barkley at No. 1 and then will still have options at quarterback with the No. 4 pick. With the Browns expected to go with a quarterback, the New York Giants will have a hard time passing on a potential franchise running back like Barkley with their second overall pick. Barkley is the favorite to be the No. 2 pick at +190 followed by Chubb (+275), Darnold (+275), Allen (+350) and Rosen (+400). The New York Jets traded up to the No. 3 spot and almost certainly have a quarterback in mind. Josh Rosen is a slight favorite at +140 on the 2018 NFL Draft props to be the third overall pick over Baker Mayfield at +160, with Darnold (+400), Allen (+500) and Barkley (+550) trailing right behind. Positional totals for the first round are set as follows: “quarterbacks selected” at 5.5 (Over +155, Under -220), “running backs selected” at 1.5 (Over -220, Under +155) and “wide receivers selected” at 2.5 (Over +110, Under -150). Wide receivers Calvin Ridley and DJ Moore are both likely first round picks while Courtland Sutton or James Washington could also sneak into the first round. Who’s on your team’s practice squad this year?